One of the most interesting aspects of X-Men: Apocalypse is going to be watching a new group of actors playing younger incarnations of characters that we previously fell in love with. 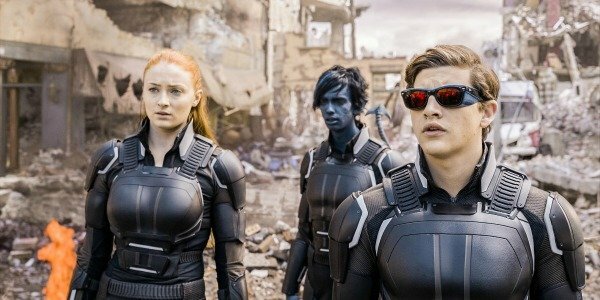 Arguably the biggest responsibility is on the shoulders of Tye Sheridan and Sophie Turner, who are the new Cyclops and Jean Grey, respectively. And we’ve now learned how the pair’s romance and connection originally blossoms, courtesy of director Bryan Singer. Bryan Singer, who with Apocalypse is overseeing his fourth X-Men film, detailed the origins of Cyclops and Jean Grey’s relationship while talking to Entertainment Weekly. The filmmaker insisted that their love grows because they both feel like outsiders, even amongst their fellow X-Men. In the beginning, she’s the last thing he’s interested in. When he first comes to the mansion, Scott’s blind so he can’t see her. Suddenly he gets some glasses and now he can see her and he’s like ‘Oh! That’s Jean Grey.’ Both of them are misfits in a way. Other mutants have settled in with their powers. This is all new to Scott Summers and he doesn’t like it and he doesn’t like school. And Jean, she not only has her telekinesis and her telepathy, but she also knows inherently that something darker and more powerful is growing inside her and she doesn’t quite know what it is. Obviously, Sophie Turner and Tye Sheridan are stepping into very big shoes with their work on X-Men. 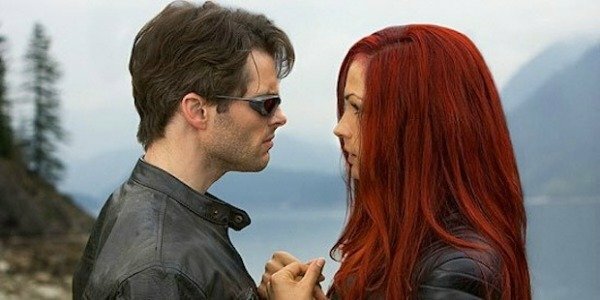 Cylcops and Jean Grey were previously portrayed by Famke Janssen and James Marsden in X-Men, X-2 and X-Men: The Last Stand (well, Janssen anyway), while they also both managed cameos appearances in X-Men: Days Of Future Past, too. Fans were quite smitten with the duo’s work as the couple, but in the shape of Sophie Turner and Tye Sheridan, the franchise now has two of the most promising young actors in Hollywood. 20-year-old Sophie Turner has been wowing Game Of Thrones fans for five, soon to be six, seasons now, while 19-year-old Tye Sheridan has already built a stunning CV that has seen him work with Terrence Malick on The Tree Of Life, Jeff Nichols on Mud, and opposite Nicolas Cage in Joe. We’ll get to see if they can transfer their obvious talent to the X-Men franchise and compliment Famke Janssen and James Marsden’s previous work when X-Men: Apocalypse is released on May 27.